We understand that senior citizens face difficulty in commuting just for getting their laundry done. Therefore, we pick up the dirty laundry from your doorstep and deliver back it to the given address. We undertake the entire laundry cleaning task including washing, drying and folding your clothes so that there is nothing more for elderly people to do with respect to laundry than just arrange them in your wardrobe! As the senior residents are more prone to health issue, therefore, we ensure that laundry cleaning use apt cleaning agents that do not leave any harmful residue matter on the clothes. Best customer experience is our ultimate goal. We make sure that our customers including senior citizens are always fairly treated and provided with the laundry requirements at wallet-friendly prices. How can you place an order with Do4You? Do4You simplifies laundry-cleaning experience for all their senior citizen client by offering them door-to-door services. In order to place an order, you can schedule an appointment with us using our app available on App Store for iOS devices as well as Play Store for Android. Choose the time and date convenient for you. We then pickup the dirty laundry from your given location. (Don’t worry it is free of cost and we also bring our own laundry bags.) We sparkling clean as well as fold your laundry and deliver it back at your doorstep in Do4You bags. Guess what, the delivery is also free. So, don’t panic! 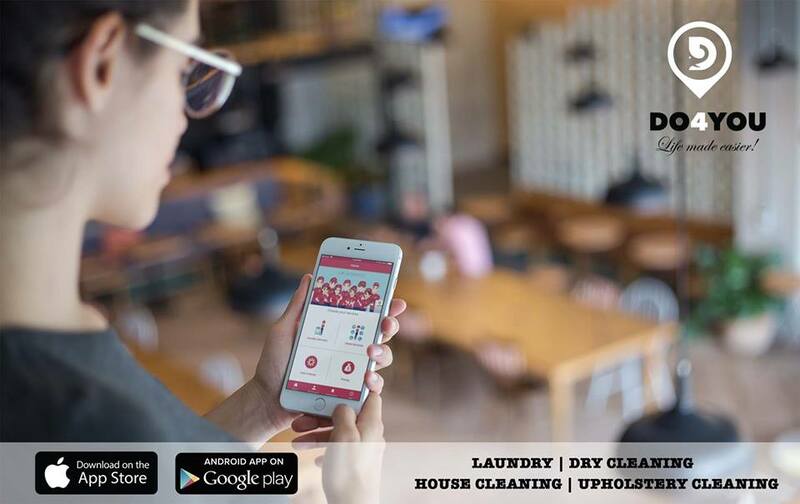 Pick up your phone, place the appointment and leave all your laundry worries on Do4You!